We adore the unique textured fabric of this dress as well as the starburst designs that remind us of sand dollars. The Sand Dollar Summer Dress comes in two color options for you to choose from. It has a strapless sweetheart neckline with boning at the bust for support. The empire waist gives way to the A-line skirt that is fully lined. The fabric of this dress is a unique cotton-blend textured fabric with some structure to it. An invisible back zipper completes this dress. 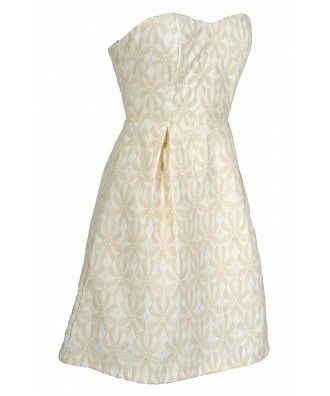 The Sand Dollar Summer Dress is the perfect dress to pack on vacation somewhere warm. It would look great during the day paired with flat sandals or wedges and an oversized bag. Then dress it up at night for dinner with pumps or T-strap heels and some pretty jewelry. Details: Fully lined. Boning at bust. Hidden back zipper. 85% polyester, 35% cotton. Hand wash cold water separately. Color will bleed. Hang to dry. No bleach. Small measurements: Length from top of bust to hemline: 27.5”. Bust: 32-34”. 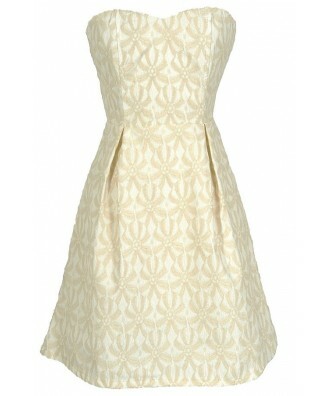 You have added Sand Dollar Summer Dress in Ivory/Beige into Wishlist. 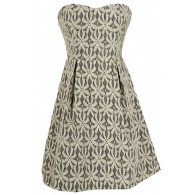 You have added Sand Dollar Summer Dress in Ivory/Beige for Stock Notification. 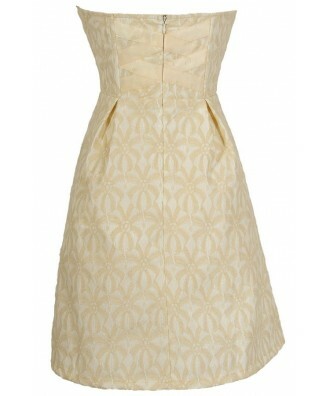 You have set Sand Dollar Summer Dress in Ivory/Beige as a loved product. 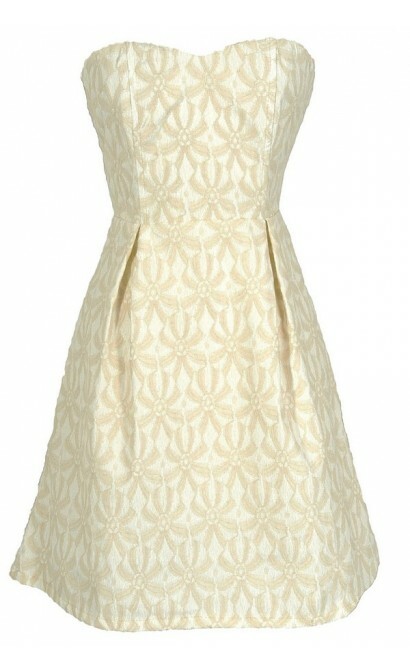 You have removed Sand Dollar Summer Dress in Ivory/Beige as a loved product.